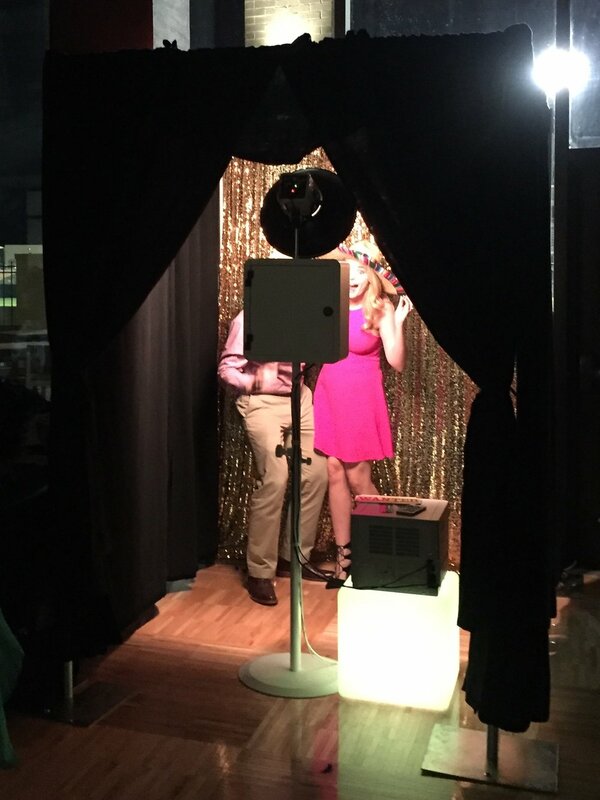 We offer a variety of photo booth services & packages serving small house parties to large corporate events. We will work with you to find the right fit for your event. High quality equipment: We use all professional equipment that is top notch included studio lighting, a high speed printer with DSLR camera. Our set-up is like a portable portrait studio taking crisp, clean, photos that are well-lit. Our booth uses professional photo booth software & our die-sub printer is specifically designed for photo booths, printing on the spot in under 10 seconds. Quality Props: Large assortment of hats, boas, glasses, masks, & signs to suit your theme. On-site Attendant: Friendly attendant who assists your guests in taking photos and ensures the machine runs smoothly all night. Scrapbook: fun memory book with a copy of each photo for the guest of honor. We supply simple books and all the supplies. Our attendant creates the scrapbook during the event. 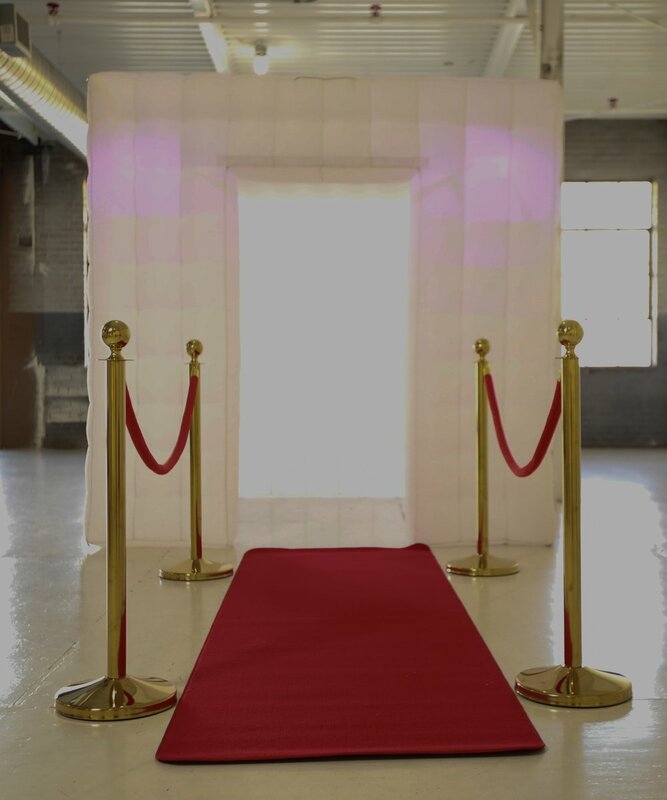 Enclosure &/or Backdrop: We offer a variety of enclosures & backdrops. Our enclosures are spacious enough for group photos but small enough to fit in most venues. We offer a burlap & lace booth that has been very popular with brides, it looks gorgeous with our rose-gold backdrop inside. Everyone loves the white "igloo" inflatable booth with LED lights, and for a classic event where neither of those options quite fit, we offer a black velour booth that is simple and elegant. For open air we offer a large assortment of gorgeous sequin backdrops. We can also special order a tension backdrop with your logo, these are crisp, clean, & perfect for corporate events & promotions. We require a 6 week minimum for these backdrops & pricing starts at $159. Early Set-Up: We arrive 2 hours early to set-up for events. This is included in the fee. Digital Copies for Guests/Digital Gallery for Host: After each session guests can either text or email themselves a copy. Host will receive a dropbox link after the event with all of the photos.